Valentine’s Day is coming so soon! It’s a fun holiday and I can’t wait to share these fun ideas with you over the next 3 days. This is a Valentines party with the kids in my neighborhood, put on by moms in the neighborhood and sponsored by Orson Gygi, the most amazing baking, cooking, entertaining, tasty candy store I have ever been in. If you have been in their store that is located in Salt Lake City, Utah at 3500 South 300 West, you will know what I’m talking about. They even have an online presence that has a growing amount of darling things every day (my favorite is their new Mosser cake stands and a darling blog….swoon.) For our party we used the colors Orange or should I say Tangerine Tango, Red, Pink and White and a hint of light blue. 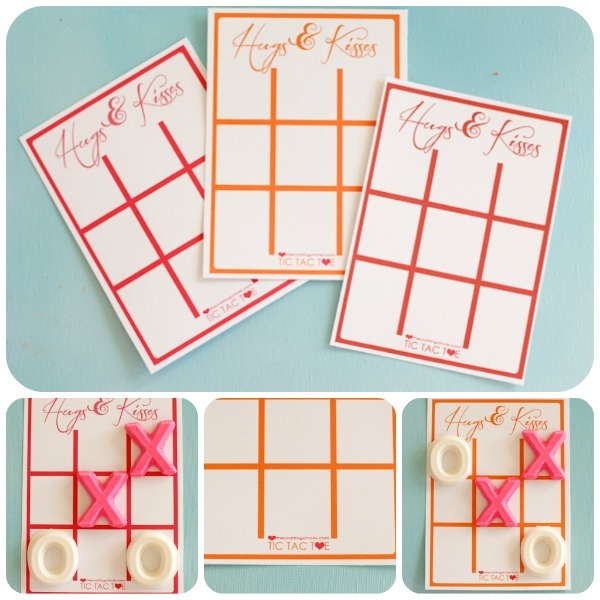 Today I am going to show you how to properly MELT CHOCOLATE & PUT THEM INTO MOLDS, PLUS a **FREE PRINTABLE** TIC TAC TOE board to go along with it. 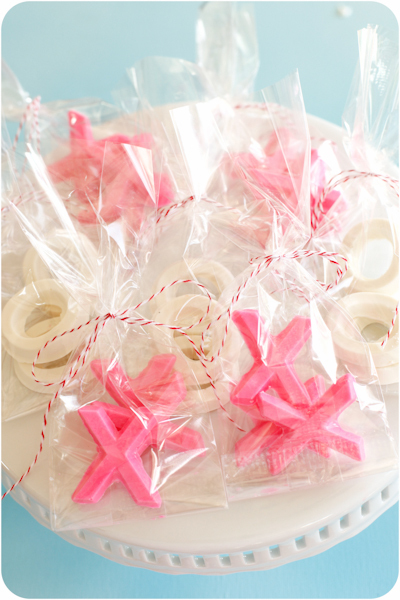 We made X’s and O’s for the Valentine party and it was fun for the kids to be able to eat their X’s & O’s. CHOCOLATE: There are many flavors and colors to choose from when it comes to these chocolate disks, which are referred to as Apeels. 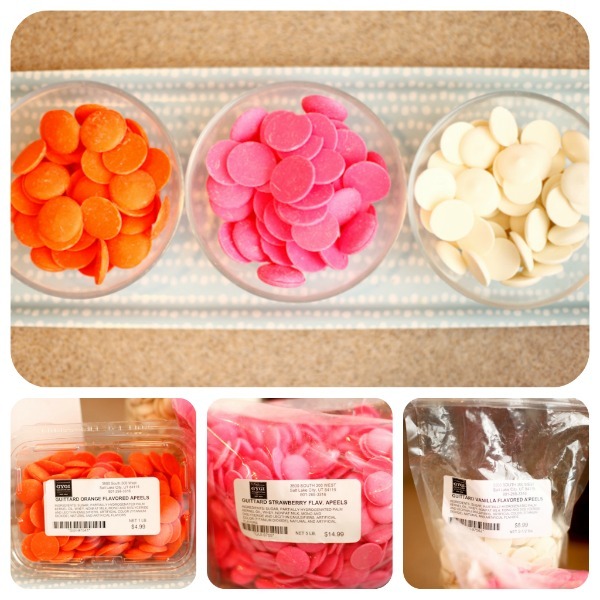 These ones are flavored Orange, Strawberry, and Vanilla. You can buy these at most craft stores, but Orson Gygi has BY FAR the best selection and price and sell them ONLINE HERE. They come in 1-5 pound bags, which is nice. DIRECTIONS: This time I used about 2/3 of a cup to fill one mold tray. I like to work with smaller batched so none of the chocolate gets scorched or too hot. WHEN YOUR CHOCOLATE IS ALMOST MELTED, CUT THE TIME IN HALF TO PREVENT SCORCHING CHOCOLATE. I used these SUCKER MOLDS (yea another thing available online) from Orson Gygi $1.99 each. NOT BAD!!! SOON….You’ll see what we used the LIPS & OWLS for :)! Fill the molds until the chocolate is level with the surface of the tray. Carefully pour the chocolate and insert sticks. You can insert the sticks before or right after you pour. If you have a more detailed mold like this, use a small spoon to guide it into all areas of the mold. This will help ensure a smooth surface when you pop them out of the molds. 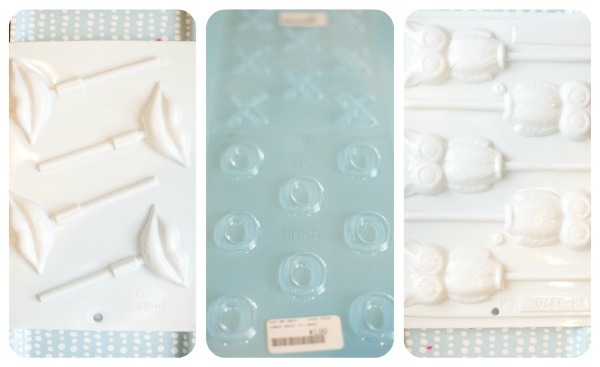 WHEN YOU ARE DONE FILLING THE MOLDS, PLACE THEM FOR 20 MINUTES IN THE FREEZER….set a timer so you don’t forget. After trying the fridge and leaving them on the counter, the freezer for 20 worked the very best and yielded the best results. After the 20 minutes pop them out and throw them in a cute bag with a tie if you feel like it ;). I used Cello bags & twine from Orson Gygi. I gave the boys a bag of X’s and the girls a bag of O’s and had them share a board. You could also use candy hearts or another candy for this. STAYED TUNED FOR THE NEXT COUPLE DAYS…..and CONTINUATION OF THIS VALENTINE PARTY….I can’t wait to share the rest with you!! ORSON GYGI (ONLINE ONLY) HAS GIVEN OUR AWESOME READERS A COUPON CODE FOR 10% off THROUGH FEBRUARY 17th!! Thanks for the step by step! Perfect timing! I was going to venture to make these for my dauthers’ birthdays coming up next month. I was hoping to make them ahead of time and was wondering how long they are good for. Do you happen to know? Wish I was still your neighbor so I could have come to your party. Looks fun!